Dada S.p.a has since 1980 been part of the Molteni Group, a major force in the Italian furnishings industry which offers a global range of products in over fifty countries through its companies Molteni&C, Dada, Unifor and Citterio. Although Dada is structured as an autonomous company from both a design/production and a commercial point of view, it is part of a group and functions as a favoured interlocuter for all aspects of the kitchen and kitchen technology, whether domestic or as part of a wider “Contract” project. With its design series, Dada is now at the forefront of the kitchen market with various models (Hi-Line by Ferruccio Laviani, Banco, Nuvola, Vela, Vela Quadra and Aluminium by Luca Meda, Nomis by Hannes Wettstein, Tivalì and Trim by Dante Bonuccelli) all unique to their type, in their finishings and their materials but with a vital characteristic in common: specific elements from different series can be combined to create specific new, individual solutions. In other words Dada offers the possibility of personalising the kitchen and aims at satisfying the needs of an experienced clientèle demanding a high-quality product which is also functional. Design and innovation have always been Dada’s signature features; Dada designs and proposes original solutions which are both attractive and functional. Dada’s designs are innovative on a formal, technical and typological level, and are developed through intense research and experimentation carried out in partnership with internationally famous architects and designers. Vast technical knowledge of both the more traditional field of woodworking, of the more modern one of metalworking, and of the new materials used in kitchens, means solutions are always of the highest quality and designed to answer specific needs. Dada’s design experiments continually result in new original products, where technology is present but discreetly so. Technology, exclusive top quality domestic spaces where cooking becomes not so much a necessity as a passion. As well as series of kitchens, Dada creates personal designs on request, for whatever size of project, developing and producing kitchens to design for clients which harmonise perfectly with their wider architectonic surroundings and which could one day become series. Like Foster+Partners design for the Albion Riverside in London, a prestigious riverside residential complex situated on the west bank of the Thames, the 40 Mercer design by Jean Nouvel, a prestigious residential complex in the Soho area of New York and again in New York, ONE Brooklyn. The Armani Group and the Molteni Group have recently announced the formation of a joint partnership for the future production and distribution of kitchen systems under the brand name “Armani/Dada”. The “Bridge” kitchen system was the first Armani kitchen concept to be produced by Dada, the result of a long term collaboration that now envisages the development of additional systems for both the residential and Contract sectors. The projects handled by Contract Armani/Dada include the development of kitchen systems for 144 exclusive Armani Residences within the Burj Dubai, the tallest building in the world, now under construction in Dubai. 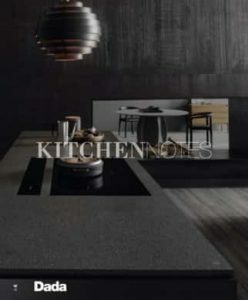 Armani/Dada kitchens shall also be featured on the 57th floor of the Federation Tower in Moscow which, at 340 metres high, will be the tallest tower in Europe, now under construction near the Kremlin square. Armani/Dada Systems will be available from single brand Armani/Casa outlets as well as the most appropriate concept stores belonging to the Molteni Group. The Garavaglia’s eldest sons joined the business and created the “Angelo Garavaglia and sons”, furniture factory. In the ’50s the company gained strength by building the first industrial warehouses for ranges of closets and kitchens. Led by Gaetano Garavaglia the new DADA brand of high-level kitchen furnishings was created. This became the company’s logo abandoning “Angelo Garavaglia and Sons.” Collaborations began with internationally renowned architects and designers including Angelo Cortesi, Georges Coslin, John Offredi, the innovative Italo Lupi, Amilcare Ponchielli, and popular photographers such as Gabriele Basilico, Aldo Ballo and Vittoria Mussolini. Dada joined the Group, directed by Luigi Molteni. The company quickly gained a prominent place in the field of quality kitchens. Luca Meda designed the instantly recognizable and inimitable image. Dada was awarded a special mention at the Compasso d’Oro for its kitchen Futura design by studio Kairos. Key feature, the wall units, today still one of Dada’s most innovative products. Luca Meda designed an absolutely innovative kitchen for Dada entitled Banco, the first suspended kitchen. Dada and Armani Casa created a new partnership, under the Armani/Dada brand, in the up-market kitchen sector, leaders all over the world. Gruppo Molteni celebrates 80 years in the business with an exhibition at Milan’s Galleria d’Arte Moderna, 80!Molteni. Curated by Jasper Morrison and with graphic design by Studio Cerri & Associati, for the first time prototypes and furniture made by all the Group’s companies narrate 80 years’ experience, quality and innovation. The exhibition has become the nucleus of the Molteni Museum in Giussano. 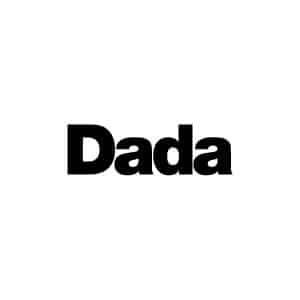 NEED MORE DADA INFORMATION ?